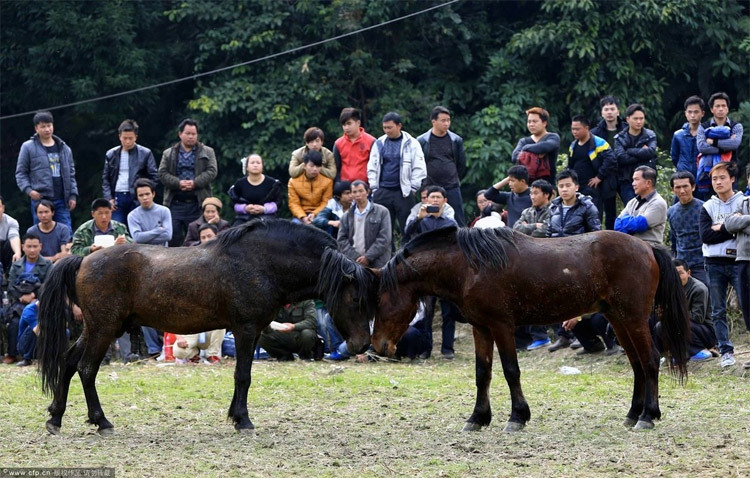 2 Every year, in Rongshui Miao Autonomous County, Guangxi, not too far from Liuzhou, local people celebrate the Chinese New Year with the 500-year-old tradition of horse fighting. 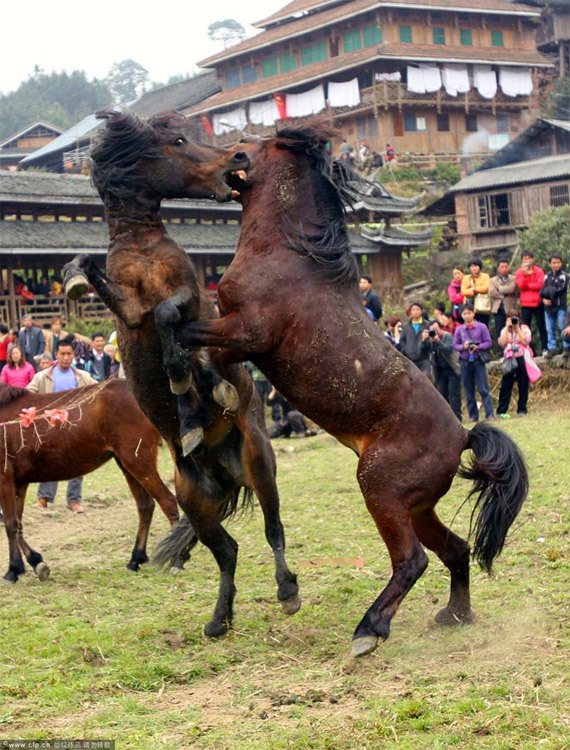 Every year, in Rongshui Miao Autonomous County, Guangxi, not too far from Liuzhou, local people celebrate the Chinese New Year with the 500-year-old tradition of horse fighting. 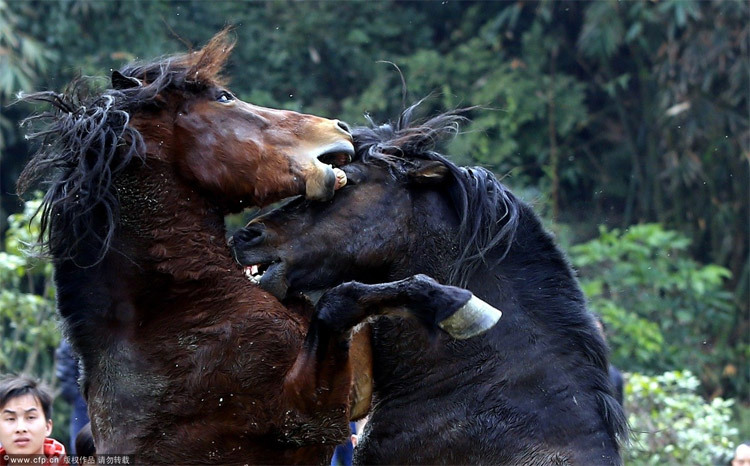 The rule is simple: two male horses fight against each other in a fight over a female. 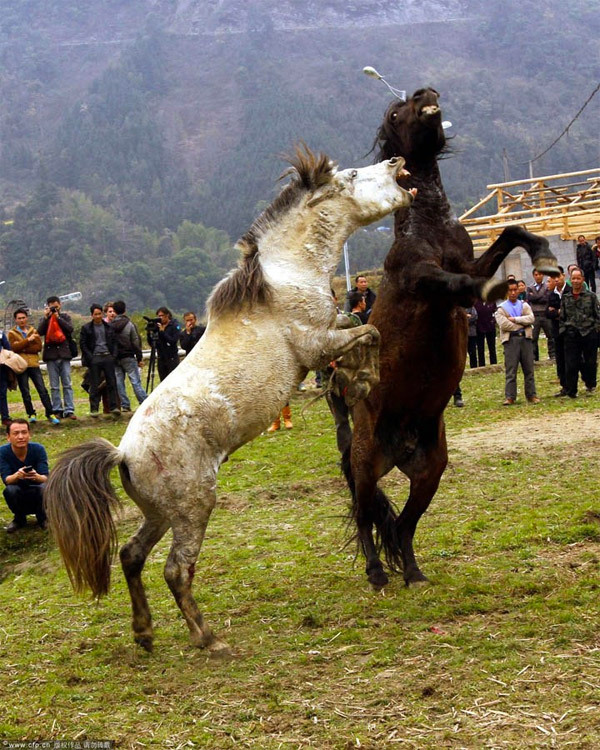 Over the years, fights become an import income for locals, attracting tourists from every part of China and criticism from animal rights group.